Scaling service based business requires much more than just implementing technology. Learn about how to prepare your business for scale as well as what to expect along the way. Greg Hickman is a marketing automation consultant and founder of System.ly, a marketing automation consultancy working primarily with service providers, consultants and coaches to productize their services and systemize their delivery. Chris Davis: 00:24 Welcome to the Active Campaign podcast. I’m your host, Chris Davis. On this episode, I have Greg Hickman of System.ly. System.ly is a marketing automation agency that specializes in helping service-based businesses scale. What Greg addresses on this podcast, is the approach. What are the keys to positioning or preparing your service-based business, so that you can leverage all of the fruits, right? All of the possibilities and capabilities that technology offers you through marketing automation? Chris Davis: 01:05 This is for you if you have a service-based business, and you feel like you’re left out. If you’re left on the sideline watching people with products or e-commerce sites or digital products, and you’re wondering, how do I get in the game? How do I get some of this digital marketing goodness? This is the episode for you, so sit back, enjoy. Chris Davis: 01:26 Greg, welcome to the podcast, how are you doing? Greg Hickman: 01:31 Thank you for having me man, I am doing fantastic. Greg Hickman: 02:05 I’m excited to share. Chris Davis: 02:06 Let’s start from the top Greg, give us a little bit about your background and your business. Greg Hickman: 02:13 Yeah, so I mean full background, I came from big brand agency, started in multiple large agencies representing brands like Pepsi, Unilever, represented professional sports teams. Then my last full-time job before I started my own thing, was client-side for a very large independent, not independent, large retail company, Cabela’s, which just recently got acquired by Bass Pro Shops, building out a lot of their marketing strategies, specifically, at that time around mobile. Greg Hickman: 02:47 Left there, and that’s when I started dabbling with automation, and then that’s really essentially when System.ly was born as an agency. Where we were doing Done-For-You build outs for sales funnels, marketing funnels, webinar funnels. It got us into new client onboarding, all of that stuff, but it was very heavily one-on-one. Every single project was custom, essentially not billing hourly, we came out of the gates with different packages, but it was really just blocks of hours. Greg Hickman: 03:23 People were like, “Oh, we’re productized,” and then we’ll dive into that word, but it was just three tiers based on how many hours you really needed us, which is essentially charging hourly, just a little bit smarter. It just evolved from there, to now, where we essentially are a training and coaching company, where we have Done-With-You programs helping service-based businesses escape the one-on-one Done-For-You projects, and really launch their productized programs and services. Greg Hickman: 04:34 Oh man, so a couple of things. I mean, having been both in big agencies and small startup agencies, and that also client-side, I’d say the key things for me were the thing that I love about agencies in particular, is I’ve always … While I love teaching and stuff like that, I mean grew up in … When I got jobs, we were service providers, right? We did the work, and we were in the trenches developing strategies, we were executing. Greg Hickman: 05:11 I’ve always been most fulfilled serving others, and I think most people in life, even educators, they’re serving in their own way. I think most of us achieve fulfillment through service, right? The thing that was broken I think in many of the agencies I’ve been in, was the sustainability part. Long hours, it was always cost, you do all this work and then the client just either A, brings it in house, or B, didn’t even execute on it, and all of your hard work you never see come to life. Greg Hickman: 05:53 That was a problem for me, and then also, as we were developing bigger and bigger strategies, and when they actually did get live, we got people results. I still had to operate under someone else’s vision, right? I just got to a point where I actually didn’t align with the vision of … Multiple instances, I found myself not really, fully buying into the vision of where I knew that company was going as they communicated to us. Greg Hickman: 06:27 That’s when on the side, the entrepreneurial spirit was starting to grow in me. I was like, “All right, I know how I would want to do it.” That’s when I set out on my own. Chris Davis: 06:39 Yeah, yeah, that’s so interesting man, because you’re right, it’s all in service. We see it in different magnitudes, if you’re not a service provider, you’re still going to provide service through support. You can’t get away from it. I believe entrepreneurship and servitude are really one and the same. You can’t decouple the two, and if you try to, you’ll be unsuccessful in either one, and you’ll see the results of that in your revenue dwindling down slowly and or very fastly, right? Greg Hickman: 07:13 Yeah, I mean, but even the fulfillment part, right? Chris Davis: 07:15 Yeah, yeah. Greg Hickman: 07:16 I mean when you give a gift to someone, when you help someone, I mean, deep down, I think most people they get true fulfillment through some acts of service. Whether they’ve turned that into their business, like many of the people listening, agency owners, service providers. That’s I think the core of it, is true fulfillment is helping other people. Greg Hickman: 07:41 What better way to do that through a skill set that you have that someone else is lacking, and now you can come in, and agencies were born? Chris Davis: 07:51 Yeah, yeah, and honestly, with the marketing automation space as it has been up until now, a lot of service-based businesses felt like they were left out on the sideline. “Oh, that’s cool, but I don’t have a digital product online. Oh, that’s cool, but how do I take advantage of those strategies?” As an agency yourself who specializes in helping service-based businesses revamp their offering to where it’s scalable, of course, the word is productized, walk us through … I mean, I know you’ve seen so much Greg, right? Chris Davis: 08:36 You know what they’re saying in their mind, whether it’s, this won’t work for me, or whether they’re just unsold in general. As a service-based business, the people who may be listening right now, or may know somebody who’s in a service-based business, where do they even start? How do you scale a service? When I look at dentist, it almost like, so you mean to tell me Greg, I’m going to listen to this podcast, and you’re going to show me how to pull five teeth at once, like five different teeth? Chris Davis: 09:13 When you say scaling service and productizing, what does that mean? What does it look like? Greg Hickman: 09:18 Yeah, so ultimately, I mean when I say productization, I think I define it slightly differently than some people, but I think it’s selling and delivering your service like a product. When I say product, imagine going down the aisle in a grocery store, and you see a box of cereal, imagine that box of cereal was your service. On the front side of the box, the name, the outcome, why does someone want this thing? Greg Hickman: 09:45 How am I going to feel when I eat it or consume it? On the back, some of the details. On the left side, where you have the nutritional stuff, oh, these are the logistics, this is how it works, this is what’s in it, this is what’s included. All of that stuff, it’s thinking about your service like that, I think changes the game, in the fact, that you are selling an outcome. Greg Hickman: 10:12 I think in execution, it looks a little bit different for different types of businesses. You threw out the challenging one in the beginning like a dentist, right? Productization to them, they have productization, in that there’s different types of cleanings that they do and what have you. They have different procedures so to speak, but where they benefit from this notion of productization, and really leverage the automation side, is making the experience systematic, right? Greg Hickman: 10:47 No matter if I’m getting a cleaning, or if I’m having some more deeper, invasive procedure, you still schedule the same, you still deal with a certain people in a certain order. The follow-up, the check ins, the hey, here’s how to prepare for your thing. All of those things you’re delivering the experience as if it were a product, right? Greg Hickman: 11:11 The challenge for I’ll call it the online service provider, the traditional agencies where web developers, Facebook ad agencies, or creative shops, what have you. The biggest challenge when it comes to well, where do you start? What I see people do, is oh, we’ll I’ve got to create SOP’s. I’ve got to document everything that I do, so somebody else can do it. Greg Hickman: 11:39 The problem, if you have done that, and you feel like you’ve just wasted most of your life documenting what you do, the challenge is, that every time you do something, it’s unique. This is like the generalist service provider. You don’t really have a product, or even really a service. Your product, up until this point, has probably just been you saying the word yes. Greg Hickman: 12:05 Hey, can you build me a website? Yes. Oh wait, can you handle the hosting? Yup. Wait, can you do my ads? Yup, got that too. Wait, do you do SEO? Oh yeah, I got that. Oh, do you do funnels? Yup, and now all of a sudden you have this massive service menu, and basically when you have the … I always say, the model is greater than the menu. Most service providers I think, and the market sometimes teaches this, is go get that next certification, learn how to do this. Greg Hickman: 12:33 Now you have this next service to go get the next client. The problem is, if every time you get a new client, the work is unique, no matter how much you document the fulfillment process, you will never be systematized, you will never be scalable, because you will never use those SOP’s frequently enough to reap the benefits of having them in the first place. Greg Hickman: 12:56 It all starts with, if you’re doing too much, and people are essentially investing in your service, because they don’t want to do the work themselves, they’re buying … I don’t mean this in a bad way, but they’re investing in your hands to keyboard. They look at you as a body, but not having to employ you as a full-time staff member. Greg Hickman: 13:20 That’s where you get stuck of, well, they’re going to always shop the best price. They’re always going to come back and be like, “Hey, can you take that item off the list, and then lower the price?” They’re in control from the get-go, this is why scope creep happens. This is why most agencies that do all these services aren’t actually even profitable. Greg Hickman: 13:40 They’re like, “All right, well this is why all this is happening,” because from the beginning of the relationship, the client told you what you do, and what you deliver. Whereas, if you sell an outcome, you can dictate that experience, you can charge based on the value versus your hours. You can actually start to create a systematic experience basically from lead all the way through to client fulfillment and referral, etc. Greg Hickman: 14:08 The entire client journey can be systematic, and you can sell it and deliver it just like it’s a product. That’s where you start, is are you offering too much? In most cases the answer is yes. If you can’t say I help blank person achieve blank result, likely you are probably a generalist. Chris Davis: 14:31 Yeah, and you know what? As you’re talking, I think that, of course, the customization piece, you hit the nail right on the head with that one, right? I think there’s some comfort, some people find value in, “Hey, we’re going to create a custom quote,” and they go and create a new document. Maybe they copy and paste an old document, but it is, it’s custom for every person. Chris Davis: 14:55 It’s just like, “Dude, how are you going to make the revenue that you truly want to make with that approach,” right? If you want free time, and it depends on the lifestyle that you desire. Chris Davis: 15:08 When you say that, one of the things that I see people struggle with when it comes to customized quotes, and not having a standard way of delivering their services, is customizing too quickly, right? When I’m listening to you talking about productization, and really creating a product out of your service, that also serves as the bare minimum that applies to every single client, right? Chris Davis: 15:38 Based on how they implement, right? Based on their business, and based on their successes, it can then qualify them for a more customized solution going forward, right? Greg Hickman: 15:52 Yeah, absolutely. 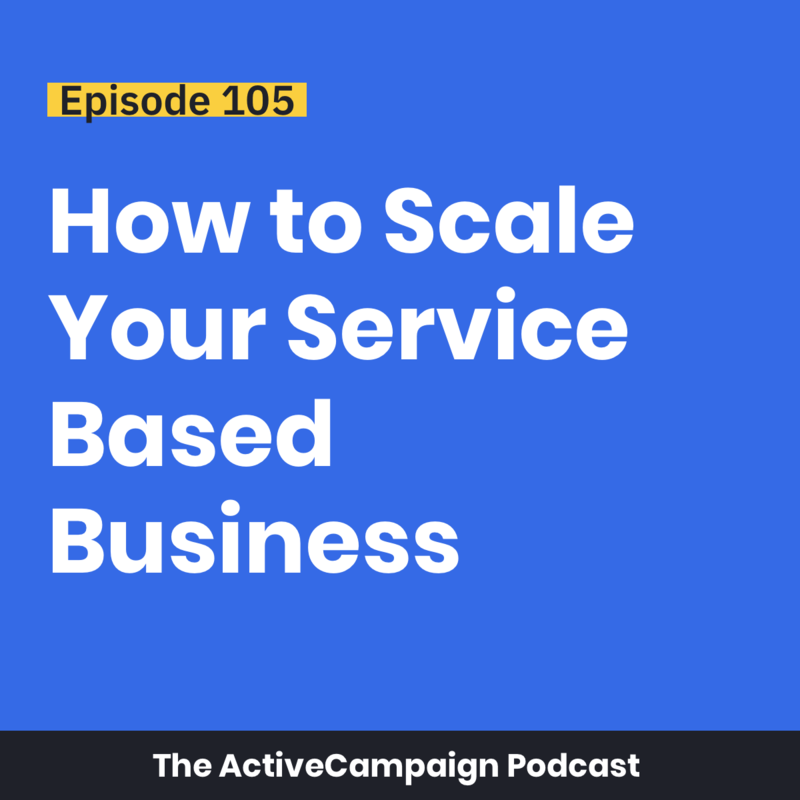 Chris Davis: 15:54 When you have that upfront, more general product version of your service, it allows you to just cast a wider net, make more revenue upfront, and then hand select. Okay, look at the results of this business, let’s see what it looks like in doing something custom further for them. Greg Hickman: 16:14 Yeah, I think one of the interesting things, and as you were saying that, thinking back on some of my agency experiences. I have a friend that helps support agencies as well, and he’s like, “Well, you’re anti-agency.” I’m like, “Well, I’m okay with this notion of agency, as long as it’s productized.” I think the problem is you can go build an agency. Greg Hickman: 16:38 To paint the picture, when I think of a big agency … If you want to go big and have a big agency, I think VaynerMedia, Gary Vaynerchuk. Hundreds, I think thousands of employees, but big retainers, big brands with big budgets, right? That allows for a lot of custom work, right? You have a lot of these boutique shops that are going to small business owners that have no money, yet they’re still doing all of this custom work. Greg Hickman: 17:07 It just totally doesn’t make financial sense as the service provider as the agency, if they want to achieve a certain goal, right? I believe that most people started a service business, mainly because all entrepreneurs, some sort of freedom element. Well, if you are going after people that can’t afford, call it premium pricing, yet you’re delivering premium style services, you’re always going to play the game of, for every X clients, I need X type of people. Greg Hickman: 17:40 Then those types of people, if it’s super custom every time, are going to need to be higher caliber. Those higher caliber people are more expensive, that’s why hiring has been hard for you, right? Oh, well now I can’t even afford the help, because I need these superheroes that can do all these things, because I don’t know what the next client’s going to throw at me, because everything is custom. Greg Hickman: 18:01 It turns into this cyclical, if you’re serving small to medium-size businesses, this is why everyone talks about raise your rates, raise your rates, raise your rates. If you’re a boutique, and you don’t want to have this massive agency, you need to have … I don’t know, probably 20 to 50 clients that pay you really, really well to even be able to live the lifestyle and benefits of having your own business in the first place. Greg Hickman: 18:26 I’m painting a very general stroke, but I think in more cases than not, you find this, or I find this to be true, hence why it’s how do you become that specialist? Whether you’re an agency or not, you only do automation for people, right? Even if that is one layer deeper than most people are going, or you do automation for dentists, right? That part is huge, right? Greg Hickman: 19:37 “The person who’s all in on marketing agencies, will always be better than you.” The more that you have these different avatars, the more that you dilute yourself. Just when it comes to focusing on anything, the more things to focus on, the harder it is to move any one thing forward. If people want to grow their business faster, start with the one solution for the one type of client, and get really good at it. Greg Hickman: 20:02 That’s where you really start to reap the benefits of having that efficiency. Chris Davis: 20:07 Well Greg, you know what you’re saying man? I just heard, I just felt it. I felt a lot of consultants and service providers they just cringed man. I felt it, and I have to stick up, I have to stick up for my people man. What I’m hearing you say is that it begins with you saying no. Drawing the line of where my service begins, and where my service ends, and being okay with that. Greg Hickman: 20:33 Yeah, and you don’t have to be everything to everybody. I think I fell into this maybe coincidentally, so when we really started System.ly, we were doing the automation side, right? We worked with some really high caliber, online based entrepreneurs selling the coaching, the consulting, the programs, the courses. They almost always, and we’d say no to the ones that didn’t, they always either wrote their own copy, or had a copywriter. Greg Hickman: 21:08 They always had someone doing the ads, and they even were making their own landing pages, using the landing page tools out there. Their gap was, we don’t know how to connect all these things and make the client go from here to there, if this happens, then that happens, and that was the automation piece, right? We were able to help them strategically think through what that experience should look like, and then connect all the dots. Greg Hickman: 21:33 I didn’t have to go find a copywriter, we didn’t have to do their ads. They didn’t even need that from us, we just filled that one piece, right? There are many people like, “Oh, well if I’m going to build a funnel, I’ve got to do the ads, I’ve got to do the copy. I’ve got to do the design.” It’s like no, you don’t, just work with people that don’t need all those things. Greg Hickman: 21:54 Farm it out to somebody else, give them that business. You don’t need to take on the effort of now outsourcing, and being the agency management service that manages the five different … That’s headache, that’s headache, just be like, “Hey, if you want copy, you go talk to my friend over there, they’re going to do the copy. Bring the copy back to me, and we’re going to drop it into the automation, and we’ll be good to go. Greg Hickman: 22:16 I don’t need to do all that. Chris Davis: 22:18 Dude, that’s a good point, I feel convicted now, because I feel like I fell into that same … Maybe it’s just a natural progression of entrepreneurship, but I used to feel somewhat guilty that I couldn’t do everything for them, right? I wanted to be the one to help them get to the finish line. Okay, we’ll get you started here, then we’ll do this, then we’ll do that. Chris Davis: 22:45 At the end of the day, you know what I found Greg? Is that, that is the journey of the entrepreneur. Who am I to rob them of their journey? It’s your job to figure out where to get these pieces. Okay, you have one piece, it’s not my job to identify all the other pieces, and do them, or and connect you. Good job if I can, but honestly, that is your responsibility as the entrepreneur to say, “Okay, I have somebody to build this out. Let me go get a copywriter on Upwork, or whatever it’s called now when people are listening. Let me go and see this website does logos,” right? Chris Davis: 23:29 That is your job as the business owner, to seek out and find the best service providers for the areas that you need to run your business. Greg Hickman: 23:41 Yeah, I mean, and as an automation agency, right? Automation consultant, whatever, the thing that I found is, being the one that gets to connect all the pieces, we understand the plumbing enough, well, well enough that our strategic guidance has been dramatically increased, because we see what all these other pieces do. We’re the ones responsible for making it all flow together, right? Greg Hickman: 24:13 I don’t know, as an automation agency specifically, I’d rather have that, than say a Facebook ads agency, right? I can come in and really guide the strategic direction of what happens, because I’ve seen it all. Greg Hickman: 24:26 I’ve worked with so many … I’ve been behind the scenes of so many different types of businesses, that if a client’s like, “Well, what should I do?” I can easily make that recommendation, and I can build the engine that makes it work. I don’t need to be the guy that writes the copy for every piece. I can give them some examples, because we’ve seen it all. I can give them examples of the ads, I can give them examples of the whatever, landing pages, because we’ve connected them all. Greg Hickman: 24:52 They can go do those things, and so for us, we’ve just nestled into that, even from the educational, training consultative standpoint. That’s what we focus on. Chris Davis: 25:31 Go ahead, go ahead. Greg Hickman: 25:33 Go ahead. I was just going to say, “We can see around corners,” right? That they can’t see around, right? Greg Hickman: 25:40 We’ve been around the block, right? I can tell you what’s going to come when you do that thing, because it’s happened to hundreds of other clients we’ve worked with. That’s one of the more powerful pieces of being that centerpiece, right? Which also is a Catch-22 for us, and anyone obviously listening that is super dialed into automation, being the automation provider, is that you can see around these corners, and you’re the engine builder, right? Greg Hickman: 26:09 Very quickly, some people are going to want you to become the pit crew, right? I use this analogy a lot, we’ve always wanted to be the engine builder, but I think the pit crew needs to be internal. I don’t think if someone internal to our client needs to understand how to use Active Campaign to do the daily parts that Active Campaign would require someone to do. Greg Hickman: 26:33 They don’t necessarily need to go build the engine from top down, bottom up, but they need to know how to maintain it, right? That’s where I felt, and this is why we moved more into some of the consultative training side of things too, is I don’t want to handcuff people by being and becoming the pit crew. With automation connecting all these pieces, it’s as you sometimes call it, the brain, right? Greg Hickman: 27:00 It is the centerpiece, the thread that connects all these things together. Someone internal should know the plumbing, and understand what the client experience is, and be able to be like, oh, something broke, here’s where it likely it broke. I can at least start troubleshooting, right? Greg Hickman: 27:16 It’s the double-edged sword for the automation agencies out there, because very quickly you can get pulled in to be the guy who does all the work, which then if that’s your agency, you could have some scalability issues of your own down the road, which is what we faced. That’s when we leaned into the, let’s enable them to do the things that they should know how to do, they just don’t need to build stuff from scratch. Chris Davis: 27:37 Yeah, and I think there’s some forecasting happening here. I mean, you and I are in the space, and well integrated. Sometimes we see things, right? We see things, we see trends, and we speak to them as matter of fact. I think what the listener can get from this, is the forecasting of, it’s time to really be intentional with your team, right? Chris Davis: 28:37 As long as people are in that mindset that okay, I’m doing this for now. I’m doing this until I can bring somebody internal. You never turn off that radar that’s looking, that’s assessing, that’s asking questions when you’re out networking, that’s looking for that opportunity to meet somebody or a resource that you can bring in house. Chris Davis: 29:00 This is a whole different podcast, but we can talk about the team structures. The team structure required for certain models to be successful, right? Greg Hickman: 29:10 Yeah, absolutely. Do you know what’s funny? Like you said, the forecasting, the seeing out there. Having been both client-side and agency side for the most part, and I’m sure I will get some people that argue this. Most smart business owners, they want to bring these core capabilities in-house, right? When I was working at Cabela’s, we brought in some of the largest consulting companies in the world to help us. Greg Hickman: 29:40 Cabela’s would come and say, “Hey, we’re going to pay you a little extra, but you need to train our team how to do what you’re doing, because this ain’t going to be that long term of a relationship,” right? It was that blunt, if you could be doing your own Facebook ads, and you had someone internally, it actually will probably cost you less to have that in-house, right? Greg Hickman: 30:01 It happens with every single type of service, which is why it is happening with automation, right? It should, and so as a service provider, I think most people are trying to restructure their pricing, and do all these things to make it harder for people to leave. Where I’m like no, that needs to be in-house. Let me do the thing that I’m good at, because your people will never be as good as us, even if you hire them. Greg Hickman: 30:24 Let’s just make them be what they need to be, so you can have the affordable person in the right seat in the right spot. Now we’re partners, right? Now you’re not trying to kick me out, I’m not trying to hold onto you. Yes, there’s probably some shortened lifespan of our relationship together, but if you go in with our job is to enable this person to run their business, and as an automation specific consultant and agency, it’s such a thread, like we’ve been talking about. Greg Hickman: 31:05 If that’s the lifeblood of the business, they’re going to bring it in-house. Greg Hickman: 31:24 Yeah, exactly. Chris Davis: 31:26 You know what Greg? It creates a win-win, right? I meet them time and time again, especially through our Active Campaign Certified Consultants program, people who would light up … If they could just do automation for somebody for a living, they would be happy, they would be satisfied. Because they don’t have that one person, they end up defaulting to being a service provider for many people. Chris Davis: 32:33 They’ll never be out of the loop with how to maintain it, how to upkeep it. Greg Hickman: 32:38 Yeah, so not that I’m giving away any special sauce here, but all of our training is hey, for the one price it’s incorporates two seats, the owner and the implementer, the integrator, right? There are certain things that Greg needs to talk to the owner about strategically, but then you know Lisa on our team, she’s a magician when it comes to this stuff. Greg Hickman: 33:01 It’s like she actually interacts a lot with the person that is building these things for the main client, like the owner of the business, right? Look, there’s these two tracks, we’ve got to enable this person to do one thing. We’re going to make their life a whole heck of a lot easier that they don’t want us to be not in the picture, right? Greg Hickman: 33:21 Even the builder in our clients businesses, they’re like, “Oh no, we can’t lose you guys, because of how much easier you make my life,” because we see around those corners. We bring a strategy, and then we help the call it implementer be better than they ever would have been. Chris Davis: 33:41 Love it, love it, Greg man, of course, I could sit up here and talk to you all day man. If there’s anything that people take away here, I want to go back to two things that you said in review. One is you talked about the cereal box. I don’t know if you’re a service provider, if you’ve ever looked at it like that. Does everybody that receives my service have the same experience, right? Chris Davis: 34:11 Am I that streamlined and that consistent, in not only how I package it, but also, as you mentioned, delivering it, right? What is that experience like, and can it be viewed as a package? Like every time I get this, I feel this, then I feel this, then I do this, then I do that, right? Then the second piece, you said it matter-of-factly, but I made a mental note, the model is greater than the menu. Chris Davis: 34:39 I love that, because if you have the right model in place for your business, and you understand it, you understand how to leverage it, the menu items are just a matter of getting, right? Instead of focusing on I want this, I want that, I want this, and you miss the big picture essentially. You miss the vehicle in which all of these items will be housed in, or will be executed in for the efficiency of your business. Greg Hickman: 35:10 Yeah, and can I add like … I know we’re probably coming to a close, but I want to drop three call it nuggets that I think really fundamentals to me when it comes to how do you think about productizing your service. Greg Hickman: 35:26 Can I drop those for you? Chris Davis: 35:27 Yeah, drop them Greg, drop them. Greg Hickman: 35:30 This notion of the cereal box, right? Principle number one, simple equals scalable. The thing that I heard that changed our business, came from a mutual connection of ours, Clay Collins from Leadpages. Greg Hickman: 35:44 I forget where I heard him say this, but he said, “The fastest way to get your business to seven figures, and replace the seven with whatever figures you want to be at, is just about how to get to the end result as fast as possible, is to focus on the five ones.” The five ones is to have one avatar, that you sell them one solution, and you have one conversion method, a la one client journey that consistently works to turned prospects into clients. Greg Hickman: 36:15 One traffic source, and do that for one year, those are the five ones. If you do those things, if you’re a service provider, and you’re a generalist right now, and you’re like okay, 80% of our clients do this one thing. If you were to package that one thing, and focus on those five ones for that one thing for the next year, I guarantee you, you will double, if not triple your business. Chris Davis: 36:38 Yeah, yeah. Greg Hickman: 36:40 That’s one, simplify. Number two is create leverage in your delivery process. When I deliver something to a client, instead of if you look at every single unit of delivery being unique, I look at as how can I work hard once, and have every single new client benefit from that hard work? That’s looking at well, what do we do that’s repeatable? What’s that thing that I just built for this one client, that essentially can be used for every future client? Greg Hickman: 37:14 If I’m taking on work where I do one thing, and every other future client or existing clients can’t use utilize it, it’s pretty much a no for me. That’s too custom, so thinking about your delivery like that, is how can you work hard once, and both existing clients and every future client that you get will benefit from that thing? Greg Hickman: 37:38 Which leads to the final one, which is how do you start thinking about increasing your capacity? There’s two lenses in which I’m approaching this from. As a service provider, you have to understand what is your scale factor, right? It’s more likely than not, it doesn’t have anything to do with you getting more leads. Now yes, you probably need leads to fill your pipeline, but there’s a lot of talk out there of here’s how to build blah, blah, blah using Facebook ads, and paid traffic this, one funnel away, dah, dah, dah, dah, right? Greg Hickman: 38:17 As a service provider, if you could just double the amount of clients you could support right now, theoretically you would double your business. That might mean you go from being able to support 5 clients a month, to 10. You don’t need a thousand more leads to do that, right? Your referrals, your existing stuff, literally your scalability as a service provider, is essentially predicated on inventory, how many clients can you serve at a given time? Greg Hickman: 38:49 How can you get them the results as fast as possible, while reducing costs, reducing time, reducing headache, and all of those things? That will increase your profitability and scalability without having to be able to drop 50K a month on ads just to get new leads in, right? Chris Davis: 39:07 Yeah, yeah. Greg Hickman: 39:08 It’s all in how many clients can you serve? Now the other part of the lens of capacity, is and I have to give a shout out to Brad Martineau from SixthDivision, because he said this. It was basically felt like a punch in my face from across the room when I heard him say it, was your business will never exceed or grow above your capacity as an entrepreneur. Greg Hickman: 39:32 I’m going to say it one more time. Your business will never exceed or grow above the capacity of you, the owner, as an entrepreneur. There’s going to be some skill sets that you need to learn in order to grow, like hiring, managing people, doing things that aren’t just being the technician in your business. As long as you’re the technician, and you don’t expand beyond being the technician, a.k.a. letting go of some things, your business will never exceed beyond that, ever. Greg Hickman: 40:01 It’s literally impossible, so you’ve got to start looking at the productization is one huge step to enable you to remove yourself as the technician. You don’t need the superhero technician that can build any and everything custom every time, because you just need someone that can build the same thing over and over and over and over again. Greg Hickman: 40:22 When it’s simplified like we said in principle one, that becomes possible, which automatically increases your capacity. Chris Davis: 40:30 Yeah, yeah, and that’s where mastery comes in, and that’s where you can demand the big bucks and everything. Greg man, thank you, I’m glad we held on for those three nuggets, because they’re great. I mean, the five ones, that’s embedded in my blood as a marketer. I can’t even get away from it if I tried too, so I’m glad you brought that up man. Greg, if people want to find out more about you, follow you, connect with you, where can they do that? Greg Hickman: 40:59 Yeah, I’ll just give two simple places. Obviously our website, system.ly, and then we have a free Facebook group, it’s called The Scalable Service Provider. It’s a free group, we just drop value in there all time, just like minded people that are trying to scale their service business. Just go on Facebook, search The Scalable Service Provider, and you’ll find us. Chris Davis: 41:23 Got it, well we’ll put both of those links, both of hose links in the episode summary, so you all don’t have to search and try to remember how to spell them. We’ll do that for you all, and Greg, again, thank you so much for coming on the podcast man, I really enjoyed this one. Greg Hickman: 41:40 Dude, thank you for having me, I appreciate it.